So as I'm running my murder highway and rome games on sunday I will try to touch on what happens briefly. Not as long as my old ones but it is handy to have some records. The boys got to start the third of their tv pilot death race show. The show brought back all the racers and the start zone was pretty quiet with tents set up on a ashen polluted desert wasteland. Sheriff spotted managers discuss the days ahead and he sent his bioengineered dino pet in a stealth suit to spy on them. Overheard talk of surprise stars, sponsors and unwanted unauthorised cops. The race started with all teams wary of race rather than rivals so mostly a bit of bumping. After a while in worst terrain and warning signs to avoid area everyone saw something disturbing dust racing at them. Bionic sheriff saw something with lots of wheels and robot arms and armour. Eventually they realized it was a russian venus probe that had landed by accident weeks ago and had upgraded self with destroyed vehicles. Team fired machine guns and mutant used his laser. It rammed the mini Citrus Fresh damaging it badly and moved through the team. It breaked and came after the racers and the Sheriff and the Mutie kept firing. The sheriff saw sign of a bonus cash prize in a farm building ruin and fired a grenaide to get through the fence, White Knight a lady rival racer followed him. The rear most car got grabbed by the venus probe which began to dismember it. Driver screamed while Mutie decelerated emptying his laser battery. The probe destroyed a car and the racer escaped with a helicopter extraction team. The probe grabbed the ailing Citrus Fresh and the teen celeb clone racer jumped onto the roof of the Mutie's car. As Citrus Fresh was shredded and the probe hurled wreckage at a race helicopter. The sherrif outwitted a mine field in front of case with his fishing rod while White knight returned to the race and machine gunned the probe. The probe slowed and lost power as the Mutie rammed it from behind destroying it. Worst foe they ever faced. At pit stop they were glad for a rest. Sheriff opened the bonus cash case with his bomb disposal armour and sensors to find he had won a banana. That meant a bomb and a cash case left on circuit. After rest of racers did repairs and had a bombshell girls bikini carwash. Cars reloaded and fixed a bit. Citrus Fresh's driver was back with new car after others pep talked him into returning after near death. The Mutie had picked up a race team girl who was religious and impressionable. The radio DJ team played the greatest hits from the 50s 60s 70s 80s and 90s. So they started the race early. Next race section was off road roo tracks and farm ruins. Sheriff instigated race for the second possible cash case but mutie beat him again. A corrupt cop enemy of team with a .50cal sniper riflle damaged several cars and sheriff lost time killing him while White Knights driver inspected body. When almost at pit stop two drone cars with 20mm cannon turrets came after them. Those hit were a mess and Citrus Fresh was destroyed again. Another race stalwart was destroyed and only four cars made it into safety zone. Even that was due to sheriff damaging a cannon turret. 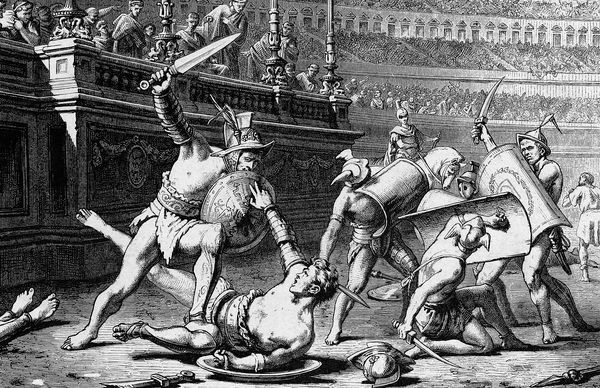 The adventurers had a gladiator brawl and had gone to see with their saving to try and recover their master held hostage by Sicilian Pirates. Managed to get pirate locations with bribery and met pirates to see if the could get price down as they only had half cash. Pirates unimpressed but offer to take cash to not sell him to his enemies. The bull horned gladiator gave a teary speech about the master being really poor. So the pirate asked them to kill a wizard to make up the cash, So our heroes went to last remaining ruin of bronze age towers from when wizards ruled the island. The wizard admitted them and they saw his swine headed slaves he boasted of creating. The seeress was disturbed but dreamed of creating owl men she could copulate with. The wizard offered to help kill the pirates for just 20 000 coins and wanted three of the party to transcribe their spells for him. All party agreed so after dinner the wizard helped them make a illusion on a pirates head making it seem like the wizard had been killed by the party. He also made bags of river stones seem like gems and poisoned some fine wine with hemlock. 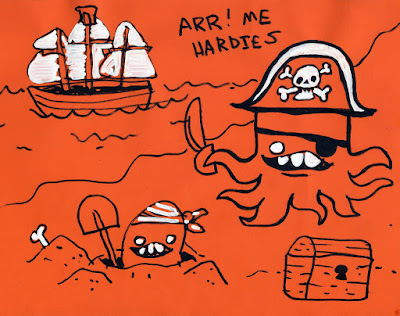 Heroes visited pirates with fake head and loot and paid of the pirates, gave them poison wine and left. Back in wizards tower they examined their patron with blotchy discoloured flesh, twitches and tilted head as if he had had a stroke. Returned to pirates who's leaders were either poisoned or shitting phlegm from hemlock. Began to ambush and kill the boat guards and drove them into their cave. 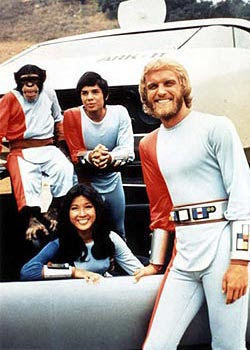 Heroes with skillful missile fire and gladiators killed 21 pirates before the remaining ones called for a deal. Forty pirates left and party found coins and fabric and maps and a carved gem and a strange potion. Collected many petty weapons and a few of adventurers picked up shields to keep. Got back to wizard to transcribe spells for wizard while gladiators got rubbed up in oil to practice their wrestling skills. 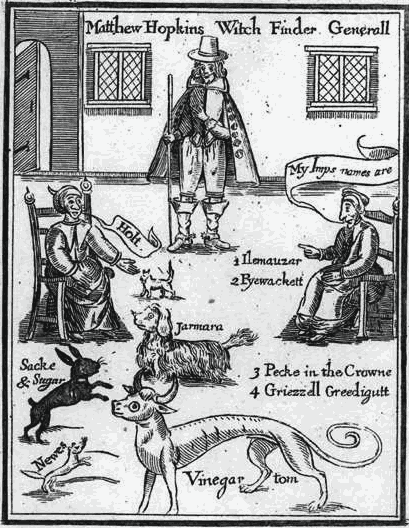 Some consider studying under the wizard as getting into sects of sorcery in big city involves lots of toadying. So master was starting to talk and fit for voyage to Rome. My next month is looking busy with this con and a big art show in november. This introductory session includes making a basic character and taking it out on a first adventure. Everything will be provided and the rule system is a clone of older simpler Dungeons and Dragons rules as a basic Starting point. The Blueholme prentice rules are available free with many supplements and adventures for free as PDF documents on: http://www.drivethrurpg.com/product/109409/BLUEHOLME-Prentice-Rules. These is enough material here to play for free for years or wet your appetite for more modern and complex role playing game on today's ever growing market. This is a art making session for kids which involves drawing, colouring and making your own cardboard monsters. Artist Chris Tamm has been working with kids as an artist is for years and will help children's make their monster designs into free standing figurines. All materials provided. 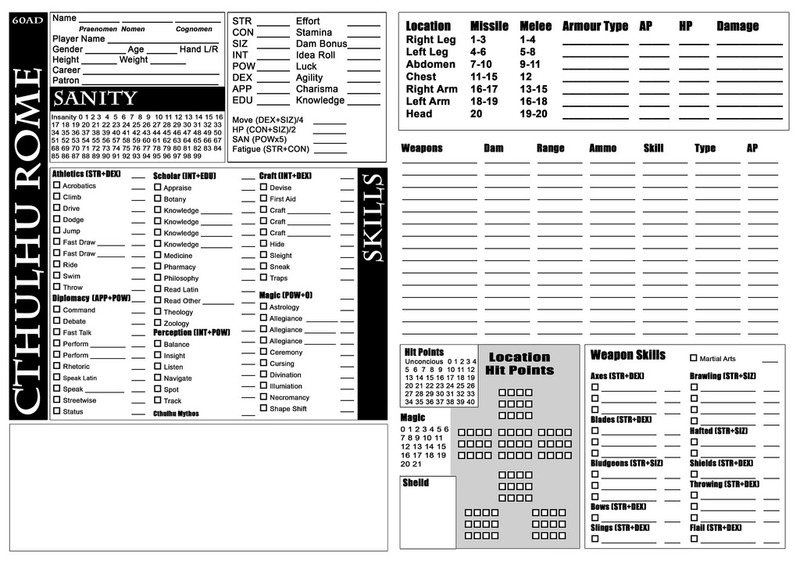 Using the BRP basic Roleplaying System players take the rolls of road warriors and death racers who take on missions in their heavily armed and armoured cars. The game uses a mixture of Matchbox and Hotwheels cars, toy scenery and 1/72 scale toy soldiers. Inspired by genre films like Mad Max and Deathrace 2000; tabletop games like Dark Future and Carwars; computer games like Roadwar 2000 and the Dark future novels of Jack Yeovil (AKA Kin Newman). Players are free to select from various scenarios in this sandbox setting. Missions include travel though gang occupied wastelands, cross country races and assaults on cult compounds. then blogger did one of it's order changes. When the murder hobo shanty town forms near a dungeon these are the kind of mercenaries who turn up. If you don't hire them some one else will. In the shanty town sly grog shops have a d3 of these merc gangs each. They hang around for a d6 days before moving on but 1in6 team up with a rival expedition and move in on dungeon. You might meet them. Possibly will do a d100 Shanty Town Encounters. 100 A gang of 2d6 cheap spearmen one is reincarnated or possessed by a former dungeon inhabitant from ancient times who seeks to know what happened to their former loved ones. The being is helpful but will react to finds and will have knowledge of layout. Such knowledge might be inaccurate as building may have changed. They may share their story and develop a relationship with party to emphasize their tragedy and feed clues to party. Eventually they will break down when finds remains of loved ones and will try and commit suicide. In the wasteland you don't often find friends and you never expect to be bailed out by a stranger. But the no1 rule of wasteland survival is you cant even depend on anything even a world where you expect the worse will let you down sometimes. My minis have been inspiring me with ideas for race teams. 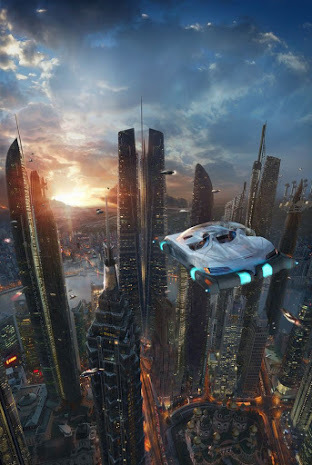 A TRON style race in cyberspace. Battle a uplifted Ape gang. Im collecting boats and sea monsters for a wet death race. From a few chrome spacey cars will hold race against greys as champions of Earth soon. Hot rod events, vintage car classic death rates events. Hotrod mutants. My salt flat rocket race was inspired like this. Boring sedans i mostly put into the club collection the seem best suited for crowding streets in a super hero fight. Will use my ape figures for something strange too. A few gundam mecha and dinosaurian kaiju for a future game. Lots of other weirdness. Keen to try some 1920 gangster battles now i have lotsa minis for era and cthulhu wars pieces. My new BRP books have given me some ideas on car battles (Laundry agents book) and martial arts (alephtar games chinese BRP books i snapped up. Got my pendragon collection and GURPS collection doing well. Might need some roman/ancient civilian minis soon. Getting snap lock Gundam kits on cheap and lotsa dinosaurs too. Cars getting harder to find. Im craving a older out of sale matchbox army container truck and AA gun on tracks. Will wanna get some bundles of heroclix super heroes too. Am getting some more enemies of rome mini sets and night get lots of natives of Americas, cowboys, mongols, more horsemen, lotsa greeks, and nabbing a few mystery loose mixed bags from sales. Ive also seen snap lock and paint tank kits in kmart which is amazing. So i started a deathrace scenario for newbs and they missed most of it. Had some looting in increased zombie zone and discovered new strains of the plague and zombies. Now the living could be infected and become a faster zombie, while the old kind re-animated a infected corpse. Paid to rescue a collection of 80s VCR tapes which the cult Ohm Supreme Truth had taken into their compound. As Asumi was japanese and a ninja she had party cut cult coms and pretend to be cult emissaries from the leader in Japan. Spent time in cult orgies and drugs before sabotaging the joint, blowing up their automated assault rifle factory and stole the tapes. During their hanging with cult leader they discovered cult leaders besides selling their bath water as potions and abusing cultists did in fact have psionic powers. Party since the moon mission had all had improved cars and left old ones in storage. Met their farm neighbours investigating animal and human disappearances. Turned out to be the mutant's old car whose biotech engine parts had been infected by the zombie virus and had become a un-living undead automobile. So the sad owner released it into the zombie zone to feed on the dead. It had always been powered by it's meat slurry fuel plant anyhow. Increased presence on televised race has helped them get recognition. The sheriff spoke to Bathurst law department and had his title granted to the area around the teams farm. Many people they had helped lived on the farm now and they had a regular village. A mutant shanty town formed on one property edge and is disliked by locals. Most neighbours were rednecks including a puritan clan, feuding forest hillbillies, a gentech automated orchard fruit farm and various aggressive good old boy clans. 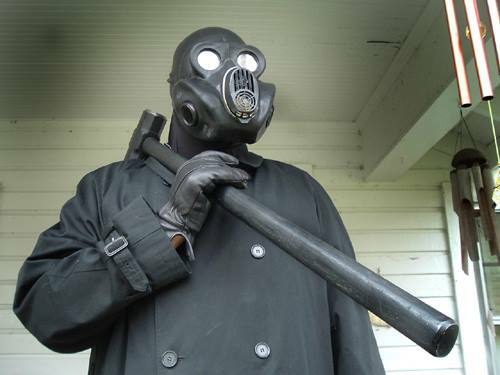 Vet characters now have lots of enemies including a hood wearing vigilante police gang, a japanese cult, a post op dinosaur cult, a christian cthulhu cult and a few other wasteland gangs. Covering my apocalypse/dark sci fi horror vibe nicely in a over the top setting. Am missing DnD and space opera settings. Failed to start the last weekend cars game but we used time to work on roman stuff and i got a flafl and more toy cars instead. . Still working on slumburb and inner-city, uptown and no go encounter tables to complement .outback wasteland sets. Personal weapons tables too. A table of wandering goodguys of the wastes? Finally got first session off ground and had six spanking new heroes to face Nero's Rome 60AD. Got minis ready, sheet only had two typos so far and i will add a skill tick box next to MP. Also remove a axe slot and add a shield slot Flail slot really only suit things like rare chain or whip or rope. 75% of everyone is a initiate of a Roman cult. the rest are sorcerers. Cash is as per GURPS rome income per month x INT in savings so most have a flat or country house or live with masters. Educated ones richest. So party richer than any i have started in ages. One has a horse, others can drive a chariot. Some considered getting a slave. If you have not worked out yet i am doing a version of Ringworld Skill/Bonus system which I could explain if anyone interested. Greek Gladiator (possibly Spartan) Worshiper of Mars, bought freedom through pimping self (Perform/Carnal 50%). 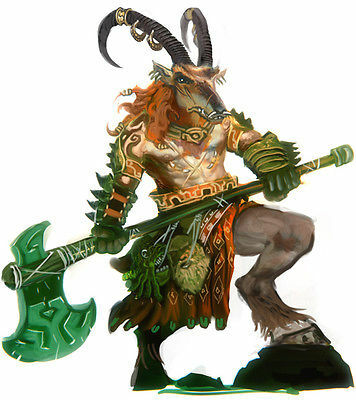 Wears a minotaur mask and carries a axe and spiked cestus. Has a panache for cursing and very interested in underworld and gore..
Nubian Gladiator (possibly part Dacian) Worshiper of Mars, fights with a Dacian Falx (has two spare). Very agile and acrobatic. Is still a slave and iss being aided by slightly older freed gladiator. Eutruscan Lady Seer and healer come to city of Rome as a soothsayer and reader of the Eutruscan mysteries. Worships their version of Minerva. Eutruscan women can Drink and have more rights than Roman women and their customs are respected, especially by pro italian and anti greek factions. Her sister is a horse breeder who can speak to horses. She has earned respect at home like her sister so called here by Roman patron. She is quite acrobatic and athletic and good with animals and a bow. She has a horse. She worships forest god or hermes, still undecided (oh I cant remember). A former pretty house boy slave who has grown into a scribe and business manager, He is a bit of a snoop and listens about the household at night. Now free he serves as an employee and foreman of other slaves and is entrusted to important house records. Is ok with a sling and knows a bit of sorcery. Final hero is a Alexandrian sorcerer of ambiguous gender, a follower of hermes-trimajesteros. She has power over quite a few mysteries including secrets of air and taste. She is a colourful character with robes and wands and medallions. Donated all her cash to temple(?) in form of books to pre pay future tithes. Party non gladiators called to Patrons house by his slave mistress of 17 years. he gives them her jewellery and tells them to sell it for as much as possible and raise more cash to pay a pirate ransom. If we cant pay they will sell him to enemies. Discretion required as she shouldnt really be doing this. Party withdraw personal loot and head to collect gladiators from bout at colosseum (from family fighting school). While allowed in to chamber with nubian gladiator and his greek trainer when all locked in and gate to arena opened. Six men dressed in leather versions of army uniforms with a cavalryman. The veteran gladiators charged and scored wounds. Slings and sorcery reduced foe effectiveness and the horse trainer tried to convince horse to help her. Quickly mopped up with lots of classic RuneQuest gore and fumbles. Horse was unharmed as sensible gladiators all know. Lady seer slit a foes throat and started cutting out his guts to read his liver for opmens. She got called in to visit members of Emperors family and delivered some spiffy poetry. Gladiators strutted about while clouds of dust rippled around them, giving them a heroic presence. Sorcerer was pleased. Sold jewellery and short of 90 000 needed by master's captors but keen on their way. Worked well. Will be big fun. So will be revising tables to separate gonzo and horror a bit more. These tables are a stopgap for aircraft and aerial phenomena. Obviously sea missions would be different. Familiars are kinda boring just sitting about boosting your magicians powers and waiting to get smushed. These could be used for a consistent quirk for a familiar or could be re-rolled regularly. Possibly druidic and priest pets more polite than traditional arcane ones.